A point-and-tap adventure in which a Nordic milkmaid jumps aboard an alien spacecraft to save her cows. I love point-and-tap adventure games—they remind me of those old-school text-based adventure games of my youth. (Hey, they were still pretty retro when I was a kid, because, come on guys, I’m only 30.) 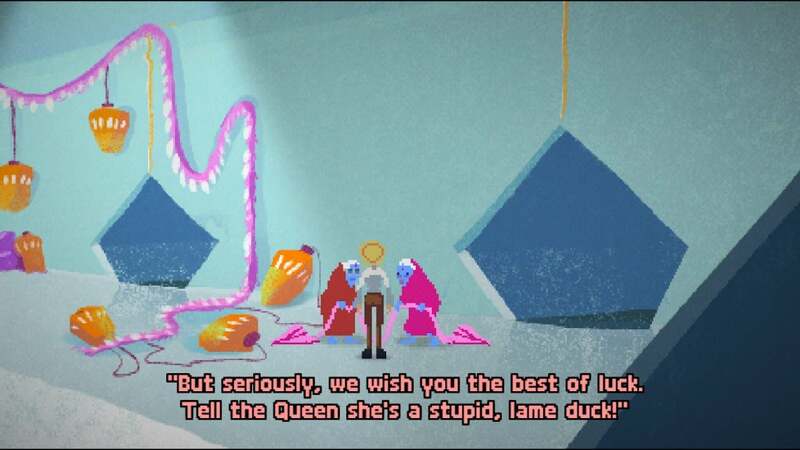 Milkmaid of the Milky Way is a charming, whimsical point-and-tap adventure that perfectly captures what I loved so much about those games—the simple gameplay, the mildly-challenging puzzles, and the witty (and sometimes confusingly odd) snarkiness. This game is charming and snarky—a great combination. 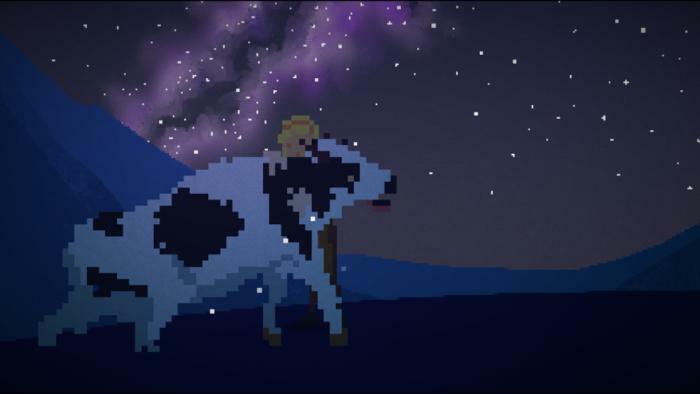 In Milkmaid of the Milky Way, you play as Ruth, a blonde Nordic milkmaid whose only friends are her cows. Ruth lives on a small farm in the middle of nowhere (aka 1920s Norway) and spends her days doing milkmaid things: Milking cows, making cheese and butter, and never going into town because it’s a three-hour hike from her house. You spend the first part of the game figuring out how to do these things by walking around, collecting objects, and dragging those objects onto other objects to see what will work. Ruth loves her cows. So naturally she’s not pleased when they’re abducted. But Ruth’s ultra-boring life changes one night when an alien spaceship comes by her little farm and abducts all her cows. Naturally, Ruth goes after her cows (they are her only friends, after all), and then a whole weird, sci-fi story unravels while Ruth tries desperately to get back to her boring milkmaid life. Smooth, speedy gameplay: You might think it’s impossible to mess up the gameplay mechanics of a point-and-tap game (the mechanics are literally just point…and tap)—but you’d be wrong. Many point-and-tap games have surprisingly frustrating mechanics, such as inaccurate tapping and ridiculously slow-moving characters. I’m happy to say that Milkmaid of the Milky Way has excellent mechanics. When you tap an area on the screen, Ruth moves at a surprisingly brisk pace—even if the point you’re trying to get to is up an obviously lengthy mountain path, she’ll book it and get to your endpoint in seconds. And if her naturally speedy pace is too slow for you, you can also double tap and hold to have her run (and it’s not a survival game, so she doesn’t get tired from running around). 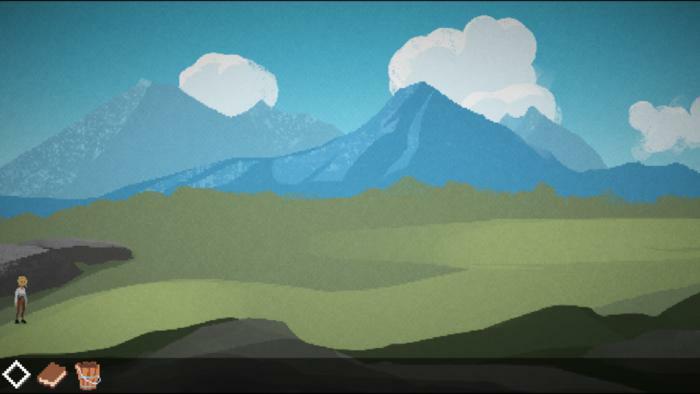 This might seem like a super-trivial feature, but it’s not—I can’t tell you how many otherwise interesting point-and-tap adventure games I’ve put down out of frustration at how slow my character moves. Ruth’s speediness also makes retracing your steps much more palatable—there’s not a ton of retracing, but there is some (especially as you work your way around certain puzzles). The gameplay mechanics aren’t perfect—there are some tap-points that are too close to other tap-points, and there are some cut-scenes you can’t speed through—but at least Ruth’s speedy movement will keep any frustration from inaccurate taps at bay. 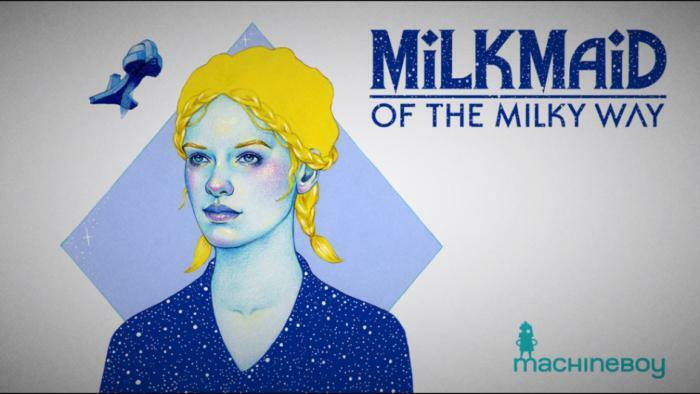 Perfect puzzle-narrative balance: Like most point-and-tap adventure games, Milkmaid of the Milky Way has puzzles along the way. For the most part, the puzzles aren’t very difficult—they usually involve picking up objects from your environment (it’s fairly obvious which objects can be picked up and which can’t) and using them in conjunction with other (static) objects. The narrative, which, by the way, is written completely in rhyme, usually gives you good hints at how puzzles can be solved. There are a few different types of puzzles. 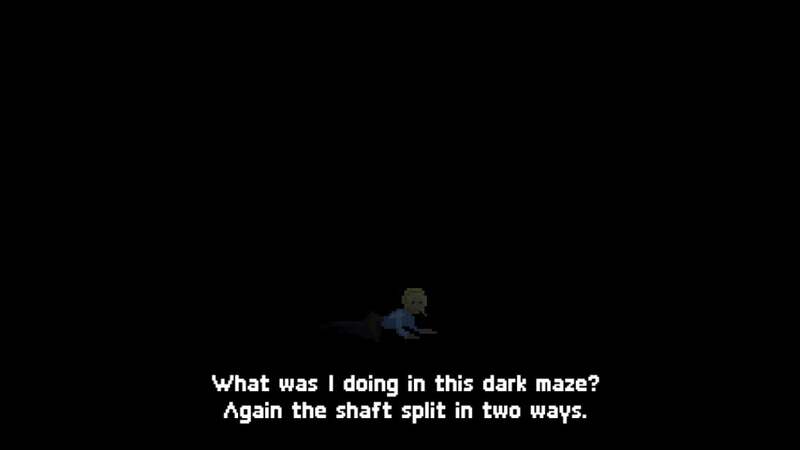 What’s nice about this game is that the puzzles and the narrative work very well together, and each puzzle makes sense in the game’s storyline. The puzzles are just tricky enough that you won’t feel like you’re simply tapping your way through an interactive story, but they’re not so difficult that you’ll get frustrated because the story’s not moving forward. If you’re looking for a serious challenge, this is probably not the game for you—but if you’re looking for an interesting adventure that uses puzzles to move the story along, you should definitely check it out. Everything about this game is beautiful: Everything about Milkmaid of the Milky Way has clearly been carefully designed, and the result is gorgeous. The game uses a mix of artistic styles—the backdrops and landscapes are done in a watercolor style, while the characters and objects are mostly pixel art—and the overall aesthetic is very retro-charming and whimsical. I can definitely see why Ruth wants to get back to her boring life on the fjord. The fjord, where you begin Ruth’s journey, is absolutely breathtaking, with clouds that scoot across the sky and sunlight that dapples here and there. The soundtrack—relaxing piano notes with some film noir intro bits thrown in—is simple and unobtrusive and adds in atmosphere without overwhelming the game. I wouldn’t mind spending all of my gameplay time here—in this game, or any other game.